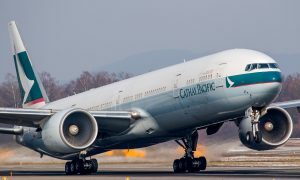 Cathay Pacific Airways today unveiled its biggest recycling project to date ­- the environmentally responsible dismantling of Airbus A340 aircraft that are being retired from its fleet. The airline is committed to sustainable development, which includes ensuring the effective management of resources and the reduction of energy consumption and wastage. 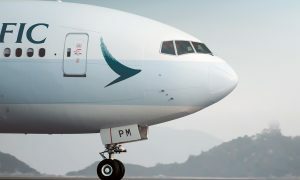 Now, with the end-of-life solution for its A340s, Cathay Pacific is taking the reduction of waste to a whole new level. Cathay Pacific received its first Airbus A340-300 in 1996. 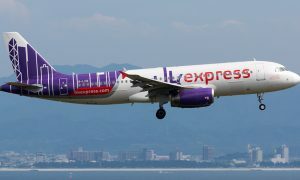 Now, after operating around 13,000 flights and providing sterling service on long-haul and regional routes, the four-engine aircraft are gradually being retired from the fleet. The airline has found a more environmentally responsible solution for breaking down the aircraft through AerFin Ltd, a UK company working out of a facility in southwest France. Four of Cathay Pacific’s A340s were retired in 2015 and transferred to a workshop to begin the recycling process, which consists of three key steps. It starts with the decommissioning of the aircraft and the emptying of fuel and water tanks. In the second step, equipment and parts, such as engines and landing gear, are dismantled, inspected, cleaned, and tagged before reuse. In the final step, waste that cannot be recycled is removed while the rest, including wiring, is recovered. The fuselage will eventually be cut up and the pieces sorted and sent to recyclers. Aluminium makes up 40% of the aircraft’s total weight. This can be melted down and reused in the construction industry for making window frames or doors, or in industries such as aerospace or car manufacturing. Recycling aluminium in this way has the added benefit of reducing the energy needed for the primary production of the metal. Cathay Pacific is retiring the A340-300s as part of an ongoing fleet modernisation programme that is seeing older, less-efficient aircraft being replaced with new, quieter and more fuel-efficient aircraft. The remaining seven A340s in the fleet will be retired by the end of 2017. Cathay Pacific currently operates 147 aircraft in what is one of the youngest all-wide-body fleets in the world. 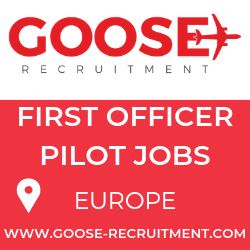 The airline has some 69 aircraft on firm order for delivery up to 2024, with the arrival of its new fleet of Airbus A350s beginning in the first quarter of 2016.